Mrs. Rachel Askew, Manager of High Risk Care Management – Population Health at Lake Health Hospital System has been recognized as a “Leader in Nursing” among “America’s Best Nurses” for 2017. She will be sharing her knowledge and expertise in High-Risk Population Health and Chronic Disease Management. 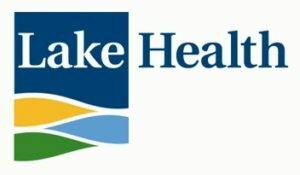 Lake Health Hospital System serves as a non-for-profit private leader in the community providing progressive compassionate healthcare to individuals in Ohio. The state-of-the-art facility promises to provide superior, comprehensive healthcare through advanced technology, the latest imaging and diagnostic testing, and surgical services such as open heart surgery, vascular surgery, weight-loss surgery, robot-assisted surgery and spinal surgery. In her current capacity as the Manager of High Risk Care Management – Population Health at Lake Health Hospital System since 2015, Rachel’s day-to-day responsibilities include the coordination of services and case management for patients with chronic diseases, managing a team of ten registered nurses and fifteen social workers, while assisting in the improvement of patient outcomes and managing her own patient case load. 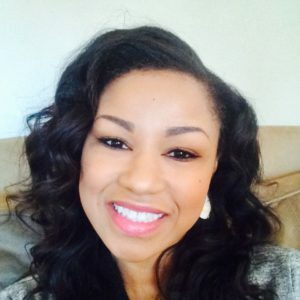 Following graduation with her Bachelor of Science degree in Nursing from Ohio University in 2013, Rachel earned her Master of Science in Nursing from Kaplan University in 2014. Currently, she is enrolled in a PhD program at Kaplan University where she is expected to graduate in 2017. To further her professional development, Rachel maintains a membership with the American Nurses Association. As a testament to her success, Rachel has received the Certificate of Achievement from Multicultural Programs of Ohio University. She is most proud of her involvement in several hospital committees, which has allowed her to educate others on Medicare and new healthcare initiatives. Rachel’s desire to pursue the field of nursing developed after witnessing the unfair treatment of a relative in the care of a hospital. This inspired her to become a nurse and make changes to provide better service to patients. Looking back, Rachel attributes her success to her dedication to the well-being of patients. She simply has a passion for caring. In her free time, she enjoys yoga, wellness & beauty, and spending time with her family. Considering the future, Rachel hopes for continual career growth by earning her nurse practitioner degree within the next few months. She hopes to join a family practice and start a Population Health Department. Also, she is in the process of opening a clinic that incorporates medical and beauty care in one entity. In 1902, Lake County’s first chartered hospital was formed when the New Connecticut Chapter of the Daughters of the American Revolution (DAR) started a drive to provide a hospital for the Painesville area. Just two years later, the Painesville Hospital Association opened its doors in the Stephen Matthews residence on Washington Street. As the largest private employer in Lake County, Lake Health offers a progressive work environment that includes an attractive benefits package. Rather than focusing on episodes of care, Lake Health provides a lifetime of health and wellness, embracing a philosophy of patient and family-centered care. Lake Health accomplishes our mission through a comprehensive network that includes 600 dynamic physicians, 2,900 health care professionals, almost 1,000 volunteers, and multiple up-to-date facilities.